Circle Time helps develop a wide range of skills and attitude such as confidence, listening, self-esteem, social skills and helps improve the student’s attention span. This is also the time to discuss amicably and provide a platform for the issues and problems that arise within the class group. 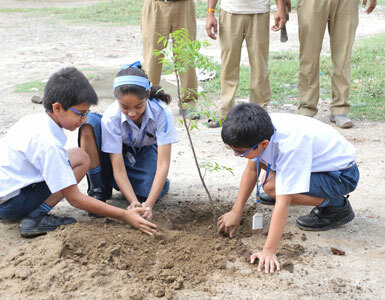 It is a great time to work towards instilling the core values of the school. The Circle encourages unity, respect, turn taking and working together towards a shared vision. 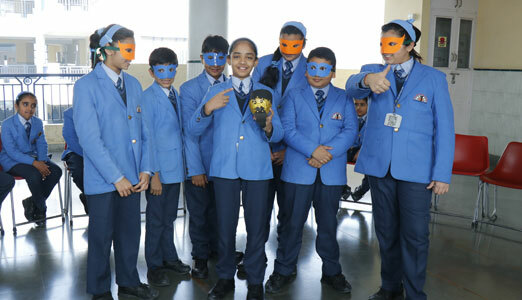 Unveiling the hidden potential of the students is of paramount significance during the formative years. These years will form the fundamental building blocks of their future health, happiness, growth, development and learning achievement. 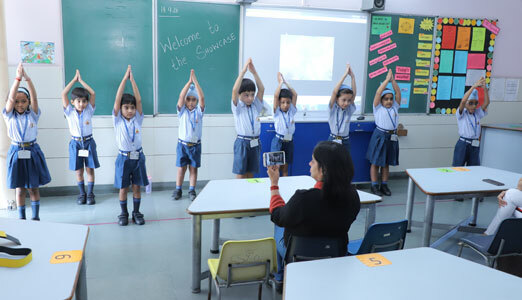 In consonance with it, The Satyan Showcase is organized twice in a year in elementary classes i.e. PV-1. 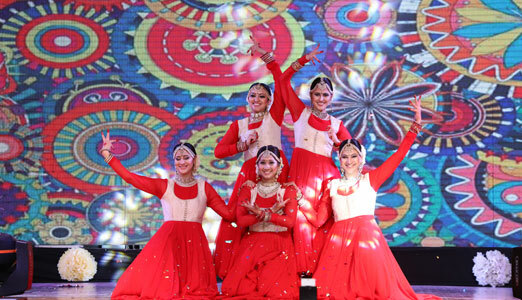 The inception behind this thought lay in the sole motive to provide an opportunity to the students to showcase their talent. 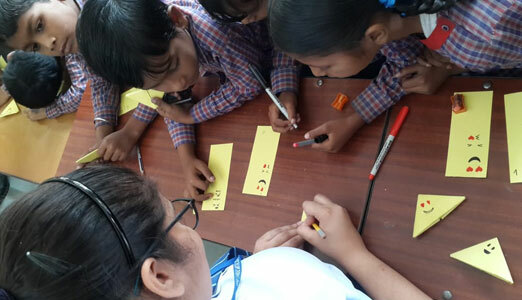 The approach is to facilitate hands on experience and learning that will structure their thought process and help them to explore different realms of knowledge and imagination. 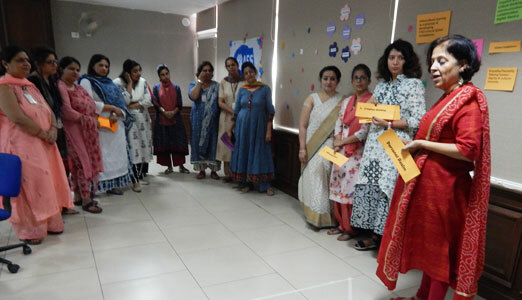 The Show and Tell activity is conducted for letters and their sounds, for various other concepts like plants, transport etc. 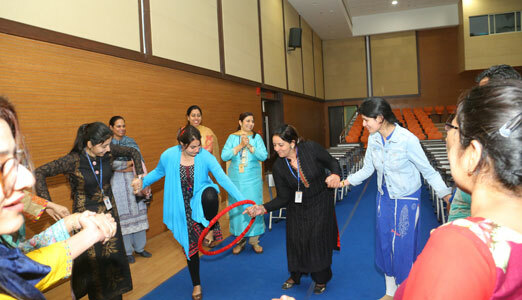 The activity helps to hone the speaking skills and build up confidence amongst the students. 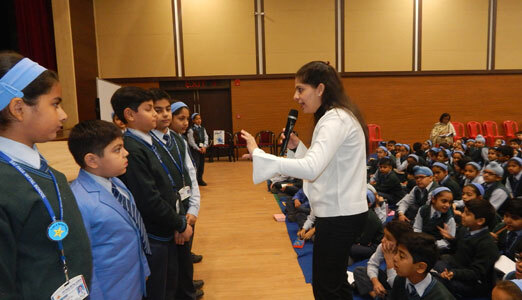 These interactions foster oral language by building vocabulary, self-expression, pronunciation and increase their confidence, presentation skills and stage presence in front of all the students and teachers. 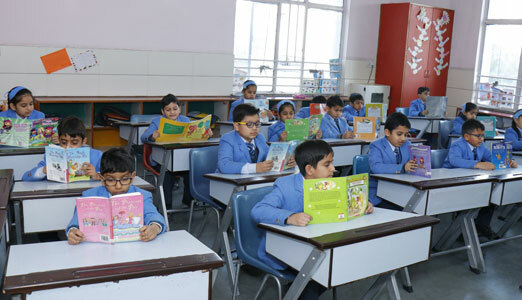 (Drop Everything and Read): This is a reading ritual that has 20 minutes slotted in the time table from PV to X. Dear period not only develops healthy reading habits but also strengthens the bond between the teacher and the taught. Through inculcating good reading habits, we aim at nurturing emotionally intelligent individuals. 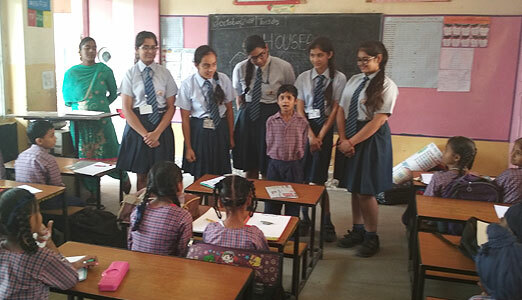 To further expose our children to the fascinating world of books, we organize Book Clubs and Book Fairs at regular intervals. 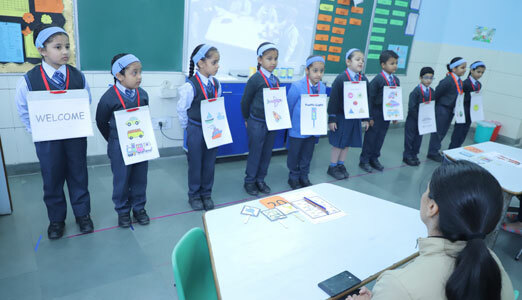 The Satyan Reading Challenge Program is a great initiative taken up by the school to encourage children to keep up with their reading skills and build up their confidence. 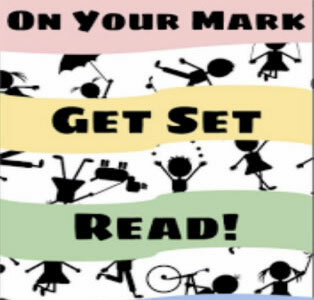 Every year, we aim at broadening the reading scope in students in different genres. 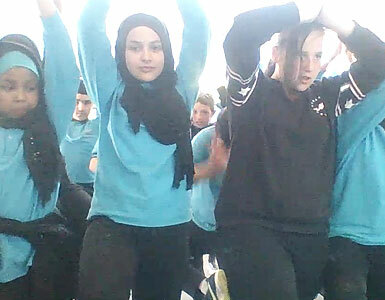 The students are given different themes to work upon over the year. 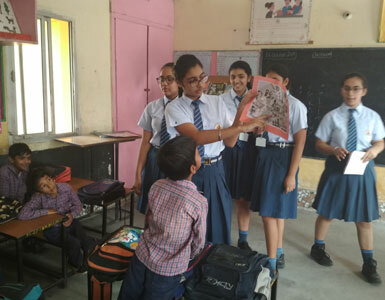 The students thereafter submit a short synopsis or a review of the book according to the task given. 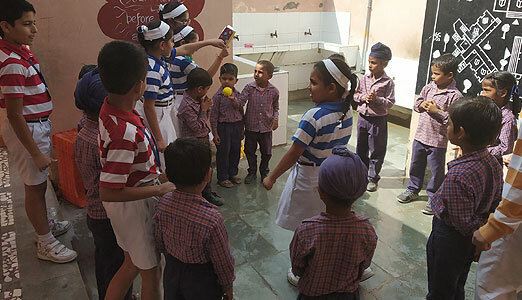 The activities are selected with the ultimate purpose of the challenge being to develop a long lasting love of reading. 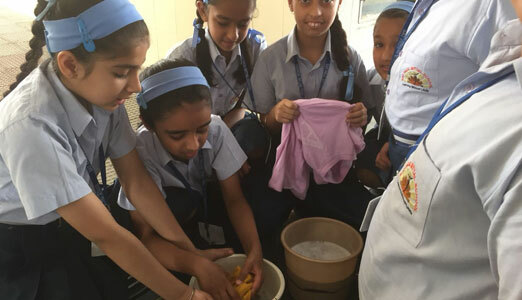 We at Sat Paul Mittal School believe that the learning becomes purposeful and progressive when it concerns itself with the skills relevant in real life. 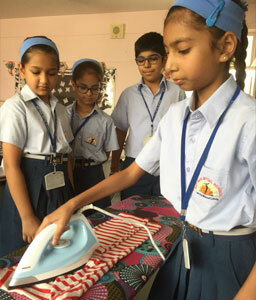 We as a school are becoming permeable and adaptive to the needs of the times ahead and we are tirelessly working towards teaching students the most relevant, useful, in-demand and universally applicable soft skills, problem solving skills and activities like needle work, tea preparation, folding of clothes, gardening, book covering, disaster management etc. 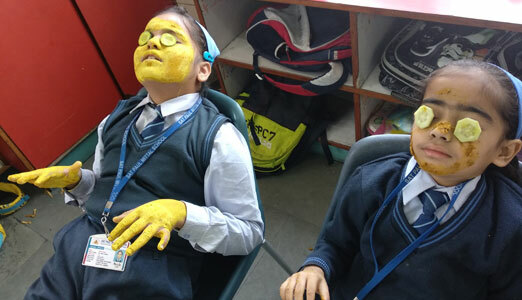 The road map for the academic years ahead includes: pottery, clay modeling, mask making, rangoli, wane work, origami and many more. 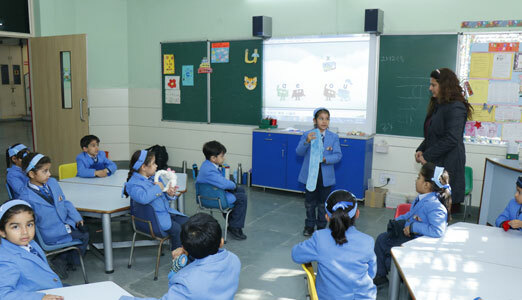 LEP aims at equipping students to become efficient and independent learners to score better grades. 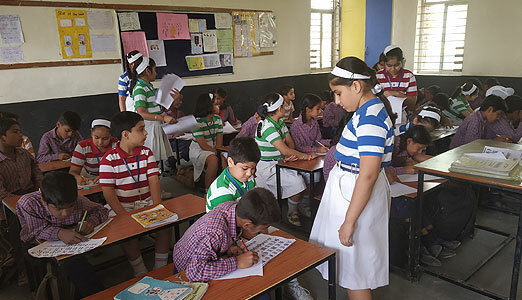 Through this programme, students learn the keys to academic success, such as acquisition of learning strategies, time management skills, enhancement of motivation and positive learning attitudes. 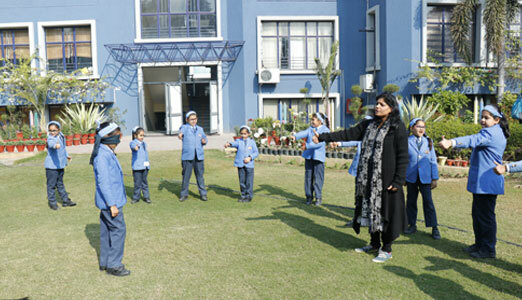 We ensure that we are considering each child’s ability and encouraging them to excel. 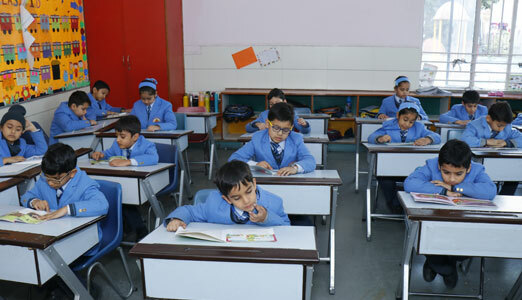 It is our endeavour that when children come to us we are able to give them the best opportunities to grow and transform into individuals who will take their place in a global society. 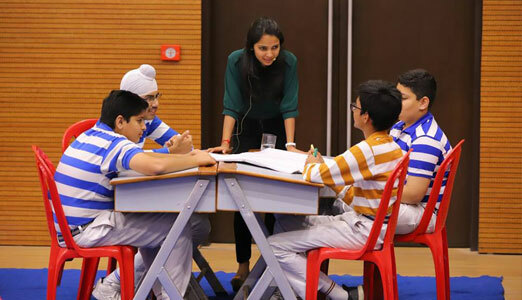 The SEP boasts of an exhaustive integrated program which aims to develop the creative capacity, entrepreneurial confidence and help the Satyans to acquire the necessary skills to build scalable startups that solve real problems. 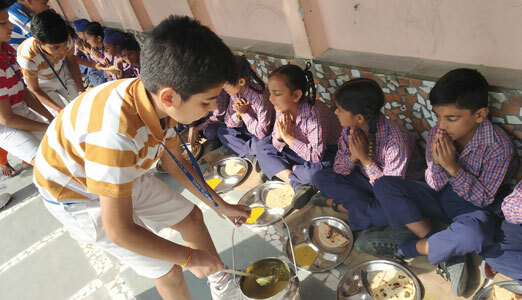 The students develop a perceptive, sensitive and critical response to the role of business in a local (school) context through market research, branding, school canteens and start – ups. 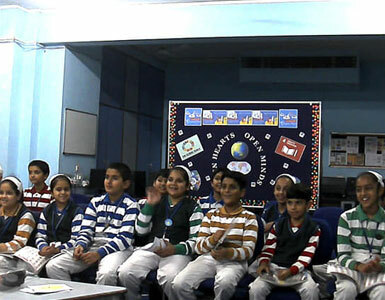 We at Sat Paul Mittal School work towards creating a harmony amongst all the four major pillars i.e. students, teachers, parents and the community . 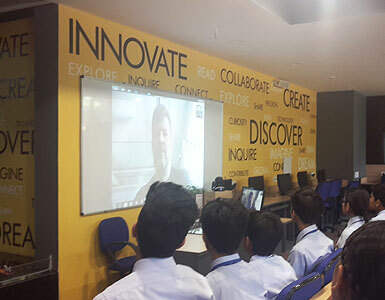 Students are globally connected to classrooms through virtual tools and are part of various international Sustainable Development Goal projects. 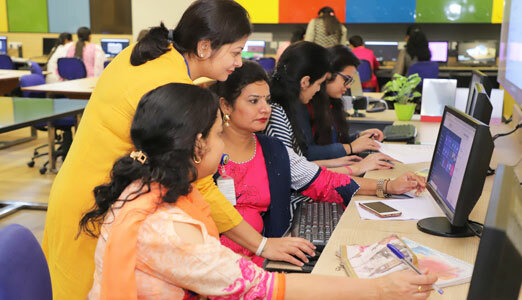 They are given support through various career counseling fairs and an in-house counselor who guides students in the areas of social/emotional development, ensuring today's students become the productive, well-adjusted adults of tomorrow. Our newsletter 'The Satyan Mirror' is treating to the readers. It sections: Articles, Pot Pourri, The Polymaths, Inter-House activities and Vox Pop offer a deep insight into the school activities. Our regular features like Healing through herbs, Opinion, Parenting Podium and Yes vs. No reflect the caliber of our faculty, parents and students. Besides the Teacher Editorial Board, it is run by the student Editorial body. 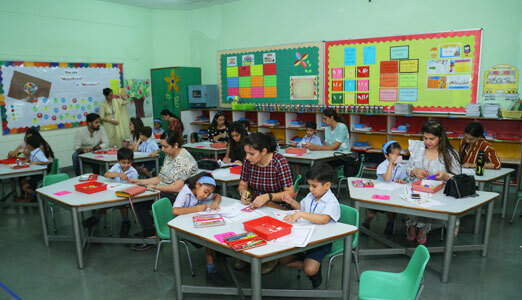 The Parent Engagement Program of the school is a comprehensive platform wherein parents support the education by holding workshops and various events. 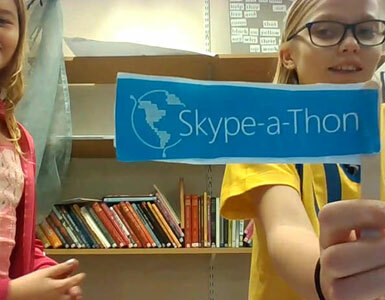 It is an effort towards building a strong connects to strengthen, support, and even transform students and community. 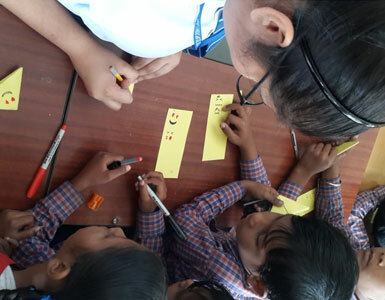 Students work diligently with the community through their various community connect programs. 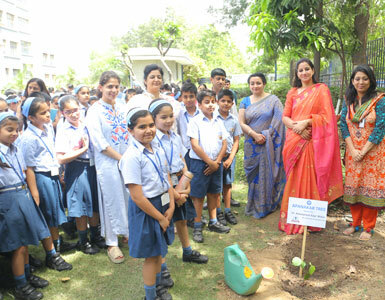 Whether it is the IAYP work, plantation drives, outreach programs or the holiday homework, the essence of connecting with the society is clearly and distinctly visible.